Steady, moderate price appreciation in real estate used to be all but guaranteed. It wasn’t unrealistic to buy a house for $250,000 and then earn a tidy profit of $100,000 or more by selling it seven or eight years later. You can no longer count on that. The housing market has recovered in many cities, but that doesn’t mean the value of your home has inflated by 40% or more since you bought it. 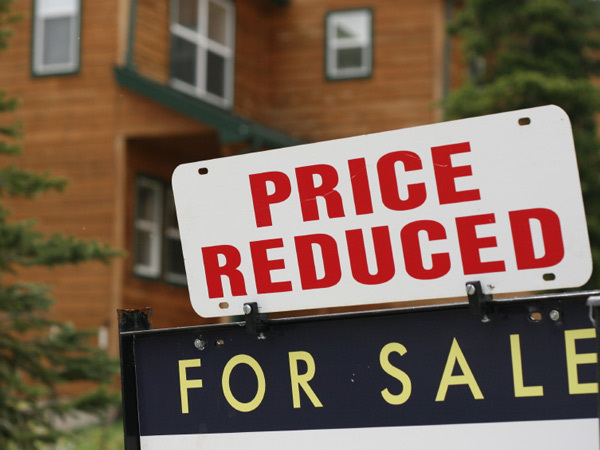 The top reason a home doesn’t sell: It’s simply overpriced. “Price point is crucial, and if you don’t price it properly, you’re pretty much shooting yourself in the foot,” says Leslie Piper, consumer housing specialist for the National Association of Realtors. Your first step: Examine comparable homes in your neighborhood that have recently sold and price accordingly. That could still mean you’ll take a loss if you bought your home before the housing bubble popped. If you’re unwilling to price it right in the first place, then consider incremental drops in price over a period of time. Presentation is critical, and anything that looks old or shabby will need some polishing. Make the small repairs to put your house in its best condition. Potential buyers will notice a loose, creaking door, running toilet or broken window blind. Pay close attention to curb appeal by beautifying the front of your home. Refinishing a front door and sprucing up your garden can help make a great first impression. You’ll also want to thoroughly clean your house for each and every showing. You also should have professional photos taken of your staged house along with a solid online presentation. The first time many buyers will see your home will be on their smartphone or laptop. Homes with outdated kitchens, bathrooms and amenities might take longer to sell or sell at a lower price. You might need to make some upgrades, but be realistic with your budget and time. Sinking $30,000 into a new kitchen in an old home to boost its appeal is a terribly risky investment because the average homeowner will not recoup the cost. Remodeling Magazine found homeowners typically recoup 61% of their remodeling costs when they sell. The most valuable home improvements include entry door replacement, siding replacement and adding a deck. Some of the worst upgrades: Remodeling a home office (recoups 43%), adding a sunroom (46%) and adding a bathroom (54%). Some people can successfully sell their home on their own. But others make big mistakes in pricing and presentation that leave their property to languish on the market for months or years. If you’re trying to sell your house by yourself and aren’t having any luck, a good real estate agent can help expedite the sale. You’ll give up some money on the commission. The percentage is negotiable, but expect to pay 5% or more of your selling price to the real estate agent. Agents sell homes for a living, so they’re going to know a lot more than you. They’ll not only be able to present and price your home properly, they’ll be able to market it to a larger audience than you would yourself. And when it comes time to show a home, they can work with the potential buyers and take emotion out of the equation. Some homes don’t sell because the buyers are reluctant to depersonalize the property. Prepping your home to make it sell isn’t about what you want, it’s about what the buyer wants. You’ll want to take some of the personal taste out of your house and try to create a neutral environment that can appeal to a wide range of people. It could mean removing some furniture, odd wall art or personal items around the house. You’ll also want to paint over any odd paint colors. In general, you want your home to appear big, uncluttered and neutral. A potential seller wants to be able to visualize the home as their own, not necessarily the way you want it. Pets and evidence of smoking can also be big detractors.